Login into Learnyst and go to Learners. 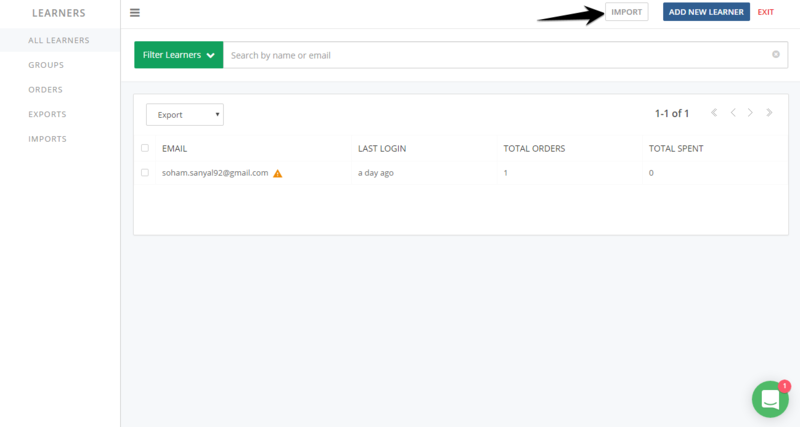 Click on Import button on top nav bar. 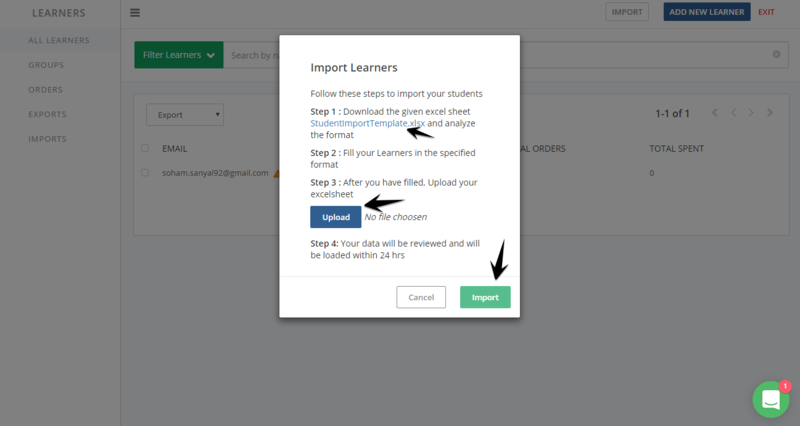 In the pop up window, you will find the sample format for importing learners to your website. Click to download the .xlsx file and fill up the fields. Upload the .xlsx file and select Import. Once the learner list is updated, we will send you a mail detailing all the learners who have been successfully added to the course. Then you have to manually send a mail to all the learners using any bulk email sending service providers, like mailchimp. The user id and password of the learner will be his/her email id and 'password' by default. They can change it later by signing in to their account.